Below Michelle shares some fun ways to exercise in the Bay Area. Hi Sally, It has been such a treat to meet you. As you know, I am a big believer that all of our relationships benefit from us taking good care of ourselves. For many of us, physical exercise makes a significant difference in our mood, and emotional and physical well being. For those of us who live in the San Francisco Bay Area or Marin, we have some great options for exercise. I am happy to recommend some of my current favorites. Also, I wonder: If you are in a relationship, are you someone who likes to exercise with your partner? Or would you prefer to exercise on your own? I have tried both options. Since my husband and I both like to be fit, I thought it would be fun to exercise together. However, our different personality styles come up when we exercise. When we run or bike together, he actually wants us to be completely quiet. He likes his exercise routine to be meditative and introspective. No surprise to you that I like to chat if we are together. What’s the point of exercising together if I have to be quiet? Ha! So over the past sixteen years together, we have decided to do our regular exercise independently, and then come together for the occasional hike or bike ride. Also, since we have children, it has worked out well for me to get up early and exercise without him! When I spoke with the coaches at my current favorite gym, Tamalpais Cross Fit, they reported, “Exercise builds camaraderie with their spouses. Working out together gives new dimension to their conversations and how they spend their free time. They even felt closer after they exercised together”. What are your favorite running, hiking or biking routes? I live in Marin, and like to hike with my golden retriever, Max. The loop around Phoenix Lake in Greenbrae is one of our favorites. It only takes an hour to walk around the lake so you can easily squeeze it in no matter how busy you are. You can also make the hike longer by following any of the uphill trails. My office is located in Presidio Heights in San Francisco. One of my favorite running routes starts with a jump over the Presidio Wall, then a twisty run through the Presidio and along the Marina Green and Chrissy Fields. I enjoy passing by the Palace of Fine Arts, beautiful Pacific Height homes, and finishing by running up the Lyon Street Steps. It is indeed a challenging San Francisco route rewarded by breathtaking views of the city. In terms of biking, we like to bike out to China Camp along San Pedro Road in San Rafael. In San Francisco, one of our favorite routes is to bike from the city, across the Golden Gate Bridge, and up the Marin Headlands. Of course, biking in Sonoma or Napa from winery to winery is another good way to spend an afternoon. What is your favorite yoga studio? I have a Sunday morning ritual of yoga and coffee date with girlfriends. We really like the classes taught at Yoga Works. Originally, I went to The Yoga Studio, and was hesitant about the change in ownership. The Yoga Works studios in Larkspur and Mill Valley have both kept their commitment to offer excellent yoga instruction in an inviting setting for all levels. Every couples of years, I like to try something new for fitness. Two months ago, I began the most challenging workout program ever: CrossFit. Coaches Michael, Corey and Meshelle at Tamalpais Cross Fit encourage, motivate and support us in small group classes. They deliver an hour long high intense, constantly varied workout utilizing weights, gymnastics, plyometrics, running, rowing, kettlebells, pull up bars, and more. My fellow cross-fitters are the kindest, most encouraging fellow exercisers I have ever met. The coaches are also available for personal training, but I like the group support. We can moan and complain out loud here, and not get in trouble for talking! Please consider making time to exercise as an intentional way to become more physically and emotionally fit. As an intentional way to work on your relationships, please consider Marriage Prep 101 or call Michelle at 415 905- 8830 for therapy, workshop or reading recommendations. 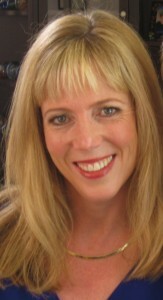 You can also follow her at Twitter.com/DrMichellexo, Facebook.com/MarriagePrep101 or read her blog at DrMichelleGannon.com. Hi. I prefer to exercise mainly alone as I walk faster and prefer to do so briskly as my principal form of exercise. On the other hand, if we go on a hike together where I need to go slower due to the terrain, it works out. He has better stamina for going slowly/distance. I’ll go to a gym and he doesn’t like it…. It sounds like you have some wonderful places to exercise around San Francisco! Whether we workout together or separately, my wife and I definitely see the benefits in our marriage when we are fit and active. Alisa and I have been exercising together in some form for most of our married life. It goes in waves of what we do together and how we interact during these times. Many years ago when we were both 20-30 lbs overweight we would take nice walks around our apartment complex. We would walk side-by-side discussing our dreams and lives. As we became more fit we starting hiking in the local mountain area of San Gorgonio. This is where I excelled, but I did some stupid stuff as a husband. I’d charge forward and leave Alisa many steps if not hundreds of feet behind. This wasn’t good as I was frustrated that she wasn’t keeping up and she was frustrated because I was blowing her off. When we started adding backpacking to the mix we had to make some changes. We decided that Alisa would lead the way. I would hike behind her and support her. What a wonderful time for the both of us. For me I was still able to get my exercise, but supporting Alisa was the icing on the cake. Since the addition of kids it has been many years since we have gone on any backpacking trips. We’ve gone more to doing our own fitness programs. I love cycling and have a fantastic group of guys I ride with. Alisa did Tae Kwon Do for almost 2 years with a group of ladies she knew from the kids schools. We encourage each other and most recently we have started doing a core/circuit/yoga workout program together. All in all I have been a huge proponent of exercise and the positive affects it has on our lives. Our marriage has been transformed by simply taking time to have a healthy body and mind. Thank You for your wonderful comments. You reminded me of another story. When Patrick and I got married 15 years ago, we hosted a bike ride the day after our wedding. Many of our close friends accompanied us on a twenty mile bike ride from winery to winery in Napa. As the bride and groom, we crazily shared a tandem bicycle for the first and last time. We decided that we both like to be in charge of our bikes! Whether we exercise alone or together, it has a positive benefit on our moods, energy and stress reduction. There are so many great opportunities to exercise in the Bay Area. What are some of your favorites? Alone. He always wants to go too fast too quickly and we both are off and on. He doesn’t understand that if you go on all cylinders you’re just going to get hurt and quit. He won’t listen to me and he thinks exercise is going to solve all his weight problems, but its not. He refuses to cut back on beers and snacks. Even so, I prefer to exercise alone. Even before we were together I did. It’s my time to relax.